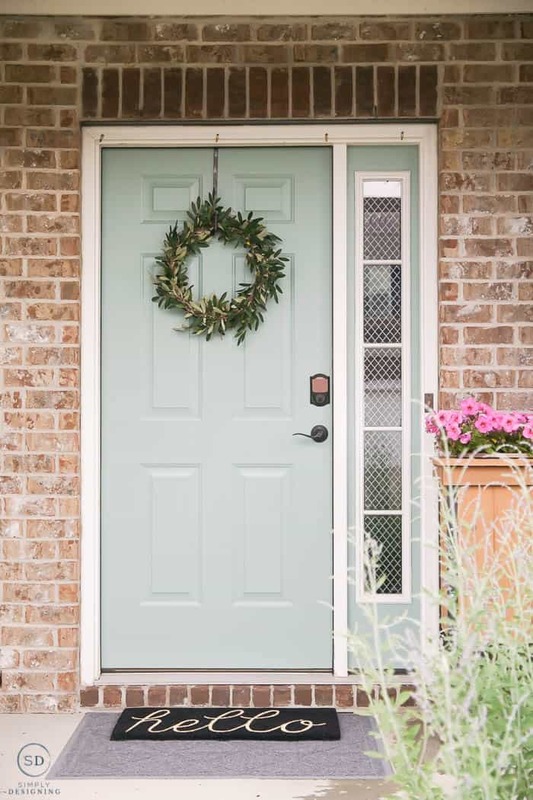 We have been hard at work behind the scenes updating the exterior of our home and so today I am really excited to share with you how to paint shutters and a front door because…guess what…our shutters and front door just got a makeover!! 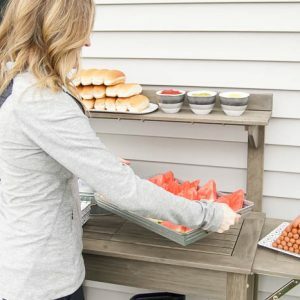 Having an updated and fresh look makes me want to invite people over to roast s’mores in our new fire pit seating area which you should totally check out HERE. The transformation still makes me catch my breath every time I drive around the corner. 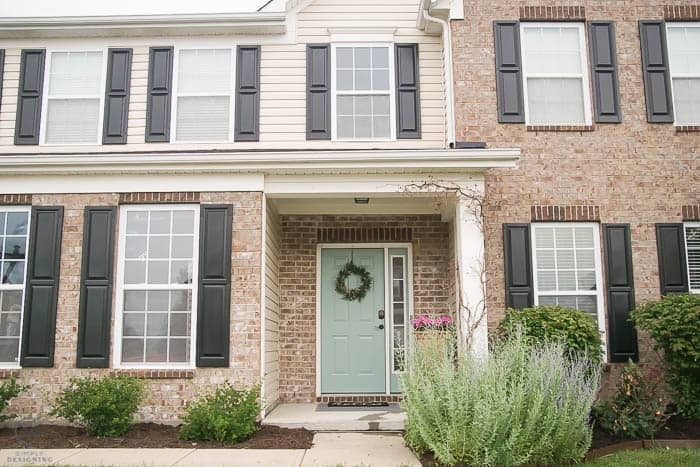 Good-bye faded, outdated green shutters and door, hello beautiful shutters and front door! Keep reading for all the details. A big thank you to HomeRight for sponsoring today’s post. All opinions are mine. Affiliate links are included for your convenience. But purchasing something from a link on my site, you will never pay a penny more, but I will receive a small commission that helps to keep this blog full of fun ideas for FREE. We have lived in our home for nearly 8 years. It has been a wonderful home and we have loved transforming and updating both the interior and the exterior of the home. But the last year or two I have been feeling like our faded green shutters and door just needed to go. We did not choose the green color, to begin with. 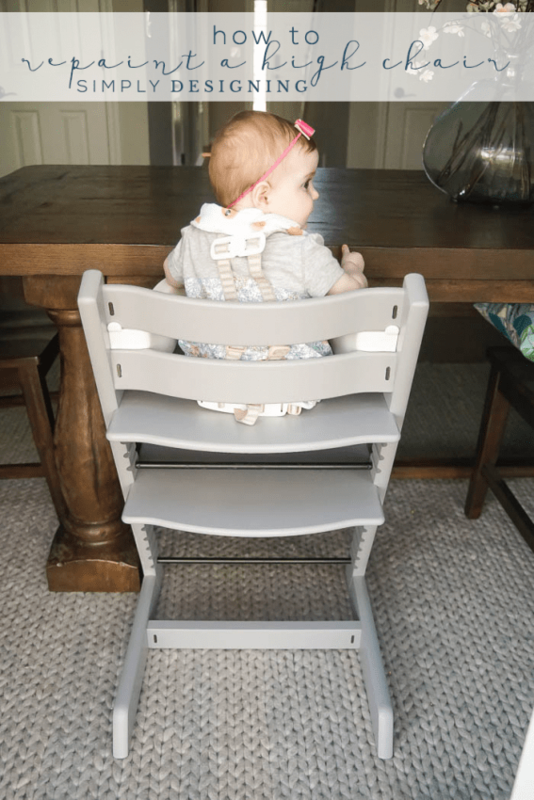 It was a dark, olivey-hunter green color that was simply outdated. And then they were looking even worse because we get direct morning light on this side of the home and so they were faded, worn and dated. You can see how faded and worn the shutters look here. They are discolored from harsh sun and just looked a bit worn out. So now you know what it looked like before. And after we committed to the project, it was time to pick new colors! But I will admit, I struggled to pick the color. Did I want my shutters and door to match? Did I want a door with a pop of color? I honestly didn’t know what I wanted to do until I went to the store and saw the color. Once I saw the color, I knew I wanted a different color door. 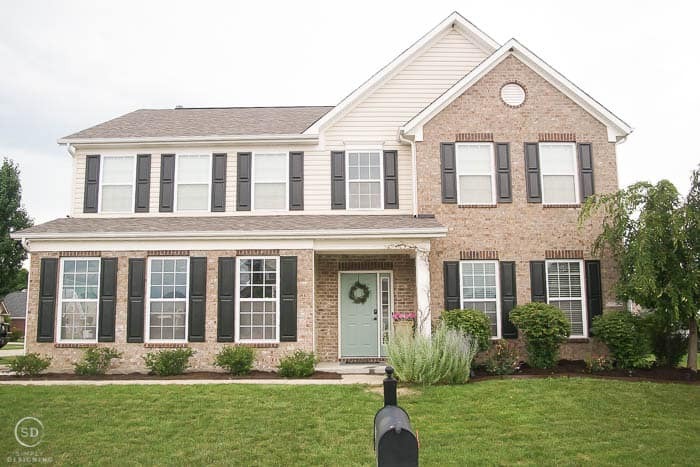 I am not planning to change my brick or siding, so I wanted to choose colors that were more updated, but would still look good with the exterior of our home. We ended up choosing Behr Broadway for the shutters. It is a step before true black so it is just a bit softer than a true black but basically looks black. And for the door we chose Behr Lotus Leaf. It is this gorgeous color halfway in between mint green and robin egg blue in my opinion. 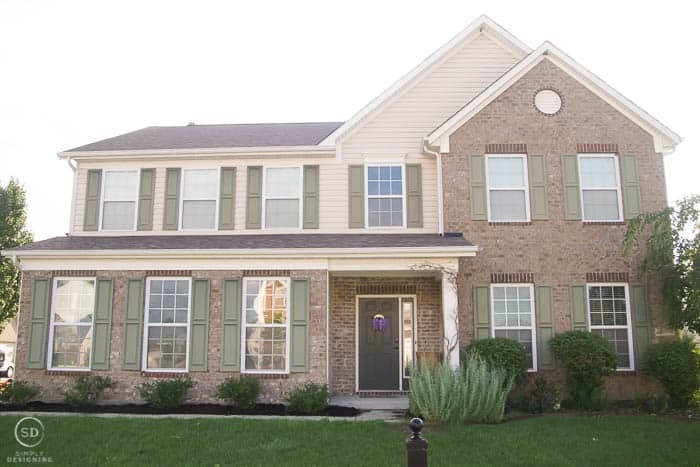 It works perfectly with the siding and brick color. But is bright, colorful and oh-so-happy! Every time I see my door, I think of Bob Ross and his happy little trees that he paints. Well, I painted a happy little door and oh man, does it ever make me happy! We have 11 sets of shutters, so 22 shutters in total and needed about 1.5 gallons of paint to paint them all with two coats of paint. And we used about a quarter of a gallon of paint for our front door and sidelight. I chose to use Behr Marquee Exterior Paint with a Satin finish. This exterior paint is 100% acrylic latex paint which is what you want to use for this project. 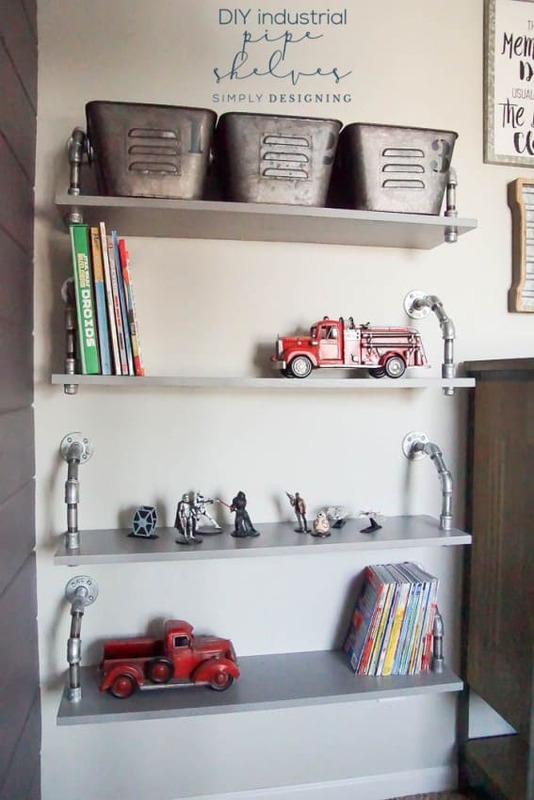 And it is a paint and primer in one, so it saved me time and money. Now that we have chatted about the best paint to use for painting shutters, let’s talk a bit more about how to paint shutters. 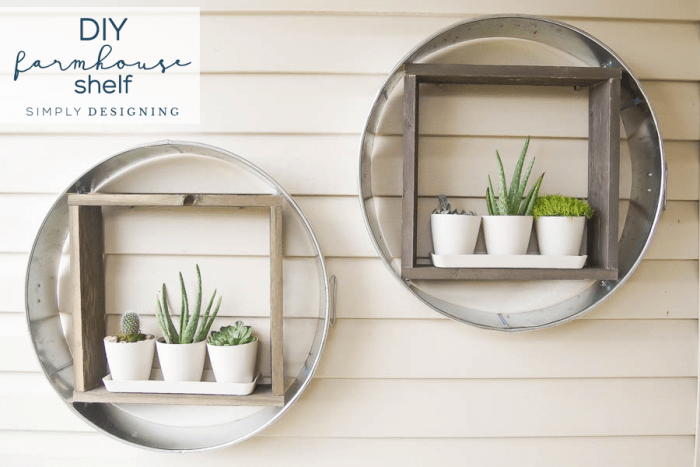 Can you paint shutters without taking them down? Yes, you can if you are careful and properly mask off the surrounding areas with painters tape and plastic. 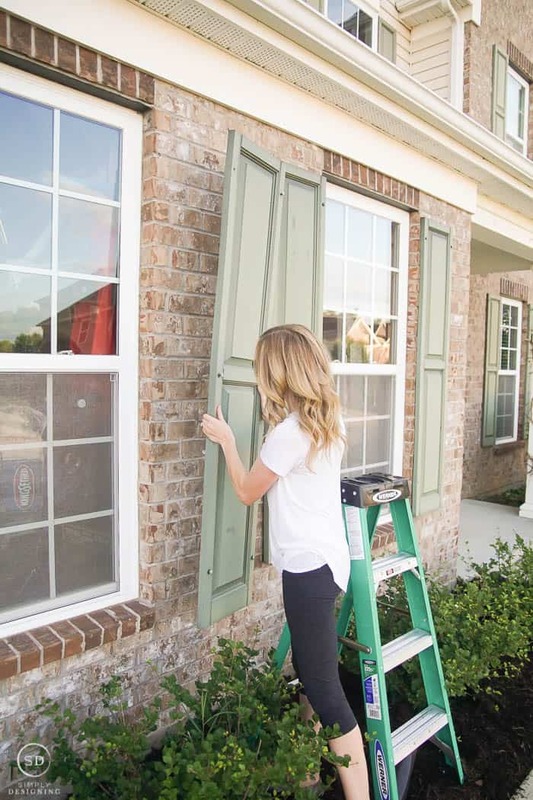 Or if you prefer to paint your shutters with a brush. However, I think you get a nicer finish painting with a spray painting machine, so I don’t recommend painting shutters by hand. 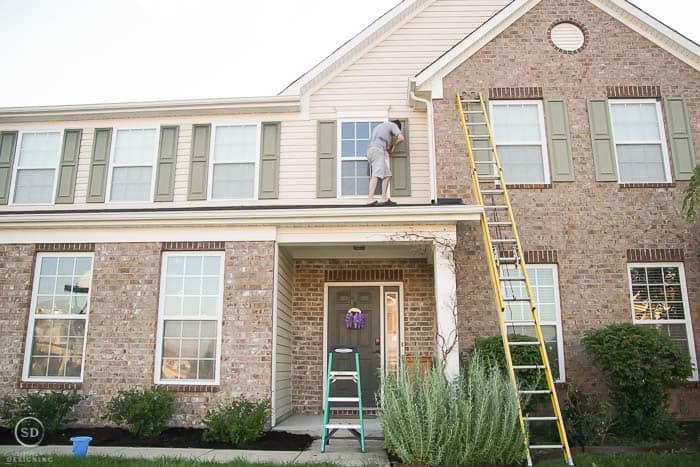 In the end, I think you will get a better results by removing the shutters from your home so that you can properly clean and paint the shutters. What color to paint shutters? Well that is really up to you! If you want contrasting colors, pick a color that is further away from the existing colors of your home. If you want the shutters to blend in and not pop, choose a color that is a few shades darker or lighter then your existing home. In general, black is always a good choice. 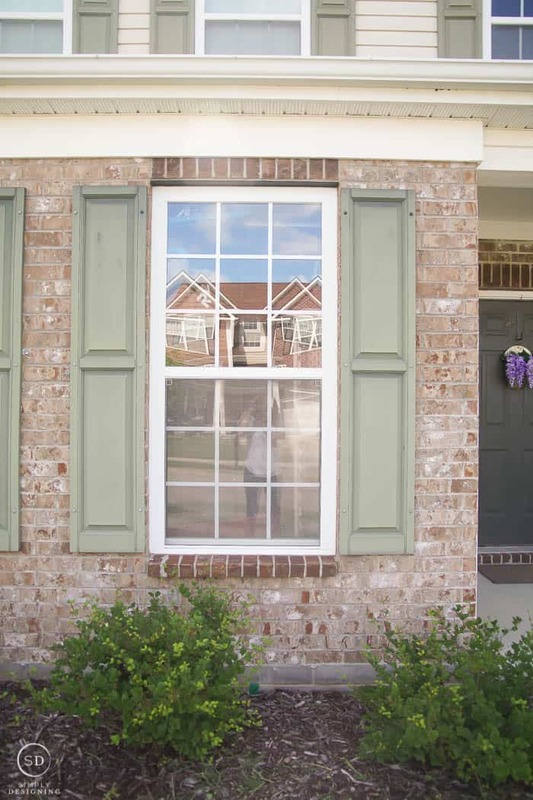 What kind of paint to use on vinyl shutters? 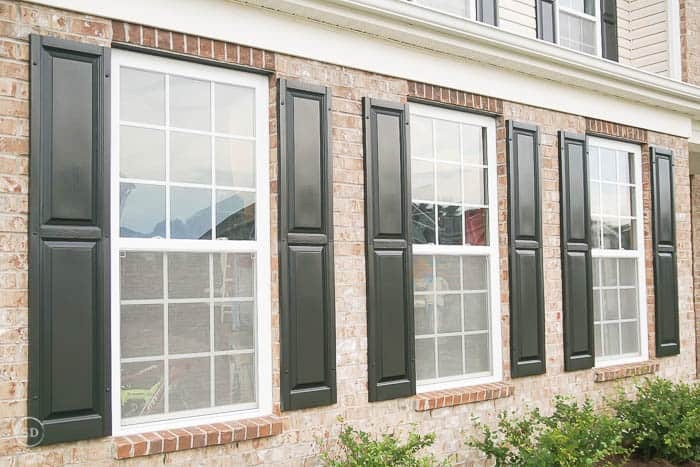 We have vinyl shutters and many homes nowadays do too. 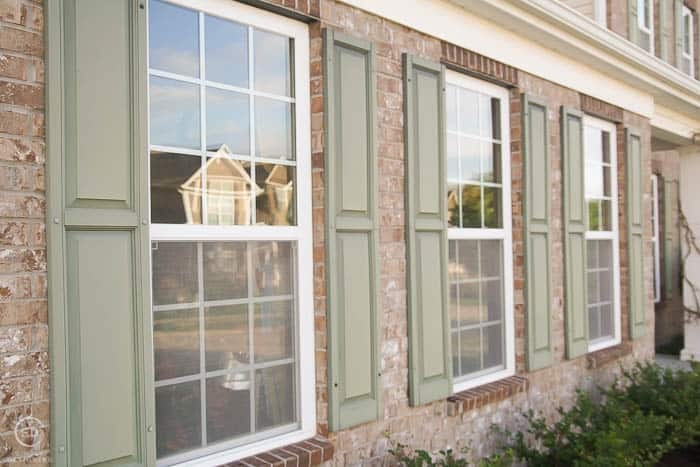 You will want to be sure to use the right kind of paint so that your shutters don’t peel. 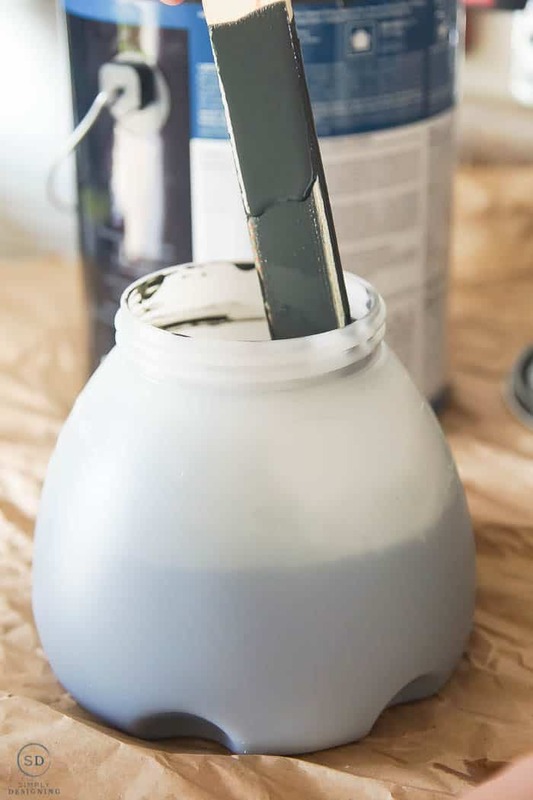 I recommend using a high quality, 100% acrylic latex exterior paint in a satin finish. 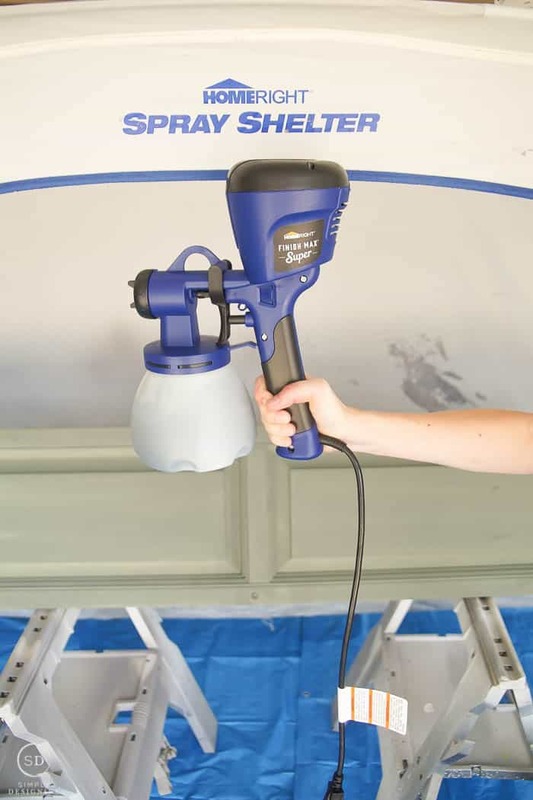 Using a primer, or a paint that is a primer and paint in one, will give better adhesion and help the paint last longer. 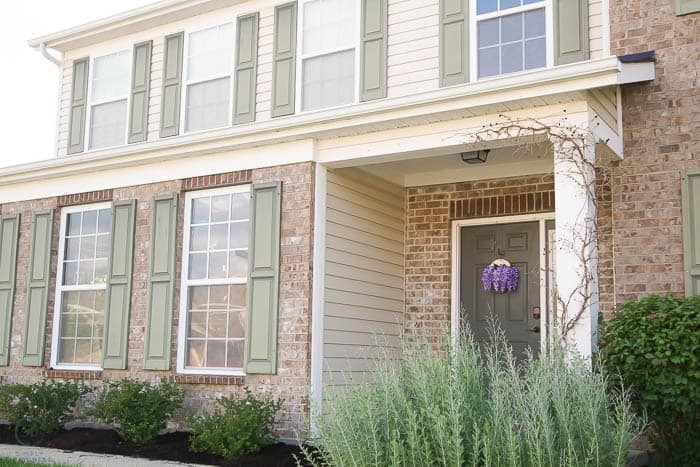 Alright…ready for more information about painting shutters and our front door? 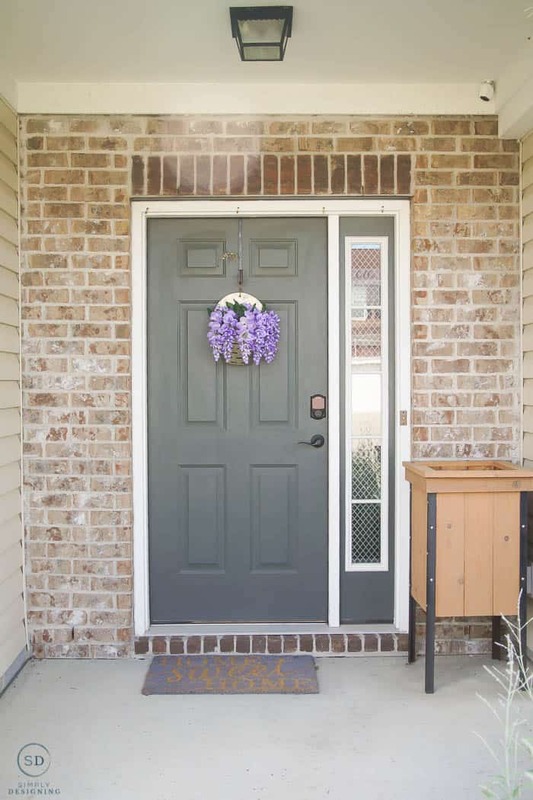 Here is the step-by-step guide for how to paint shutters and a front door. We removed the shutters from our home. My sweet husband climbed a tall ladder to help me with the second story windows. 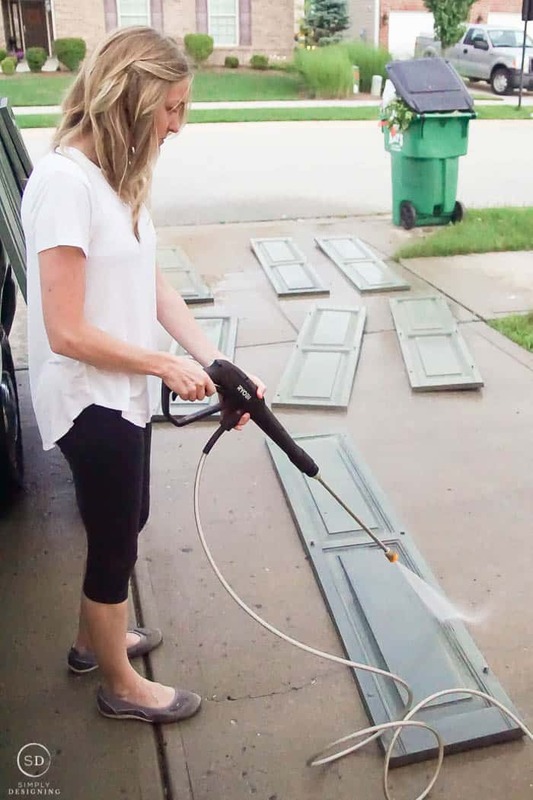 Then we washed and cleaned the shutters with our Ryobi pressure washer and let them dry completely. Next, we used our HomeRight Spray Max Extra to apply two coats of paint to our shutters. 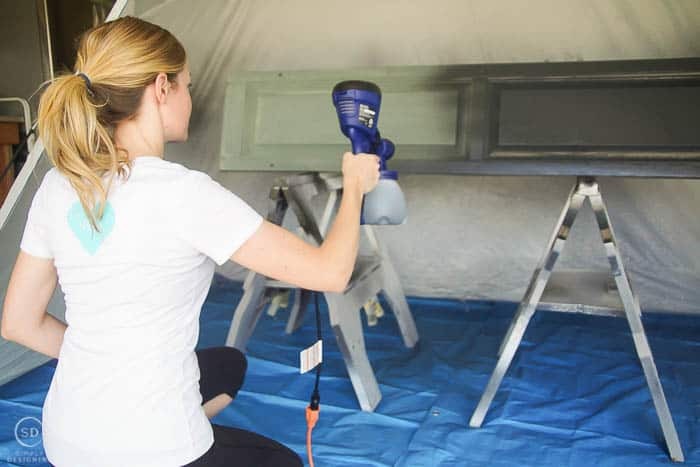 Check out my post on HomeRight HERE for all the details about thinning paint, and painting using the HomeRight Spray Max Extra HERE. While our shutters were drying, we cleaned out our FinishMax Extra and put in our beautiful blue-green paint. We removed the door from its frame and put plastic up in its place to help keep bugs out of our house. 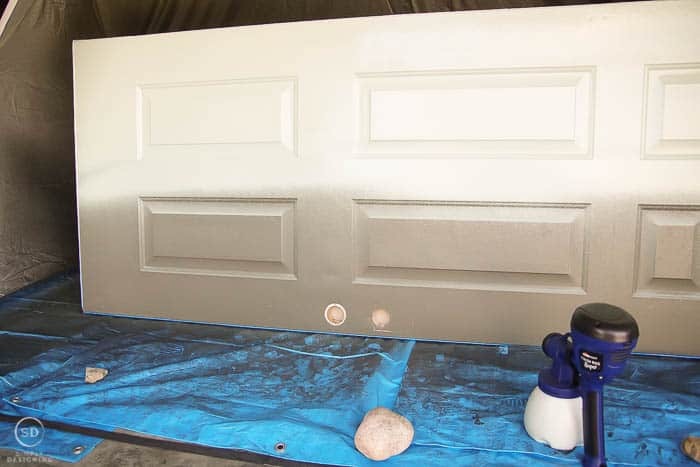 Then we tapped and tarped off the sides and back of our door because we only wanted to paint the front. We also removed all of our hardware from the door so that it wouldn’t accidentally be painted either. The door was cleaned and we applied two coats of paint to it as well. Then using a paint brush, I painted the trim around our sidelight window. While that was drying, we installed the shutters back onto our home. A big shout out to my husband who climbed the big tall ladder to put the second story shutters back on. Eek. Tall ladders freak me out. And then we installed the front door back on its frame and the hardware back onto the door. Taking the time to paint the shutters and front door really gave our home a completely updated look. 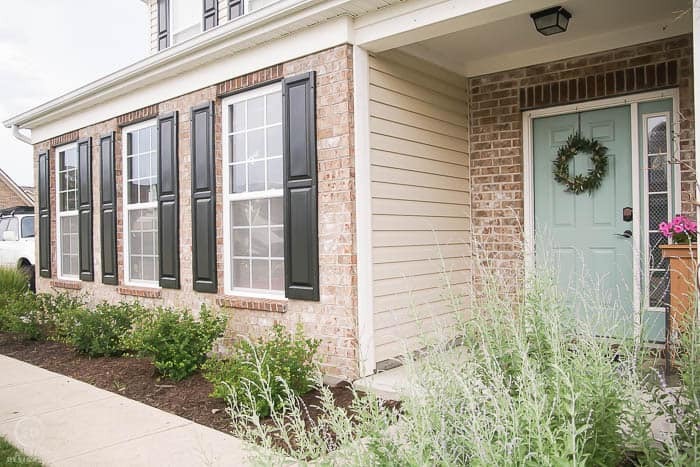 The colors are more on-trend, the pop of color on the door is perfect and the almost-black shutters add a crisp clean look to our home’s exterior. I really just love love love how it all turned out! I LOVE! That front door color is awesome. My front door is orange . . . I like colors that are “different” for the door. Shutters look great too!